It might not have seemed to cross your mind, as a Waddell of today, to think that Waddell was pronounced any other way than the drawn out “Wah-dell” that most of us stateside have come to know. It rings of it a tinge of French or English, but is neither. “Waddle,” yes, of the duck, is in fact a fine Scottish name. Perhaps this is more evident in its various spellings as “Waddel” or even “Waddle” itself. If you were to ask our Northern Irish ancestors (the Scotch-Irish), they’d perhaps have the vowel stretched in a flatter “Waaa-dell” that sounds like the peculiar halfway between the Scottish waddle and an Irish drawl. There is not an entirely clear derivation of the Waddells, with everything from Flemish to French cited as possible links. What is evident is how the Waddells evolved over time and adopted a very “Scottish” identity even as Scotland itself was beginning to form. As with most of the Scots, the people themselves are often blends of Norman, Viking, and Celtic roots, and of the latter two, most would later adapt to more Norman customs. Some slight evidence does seem to suggest that the Waddells (or rather, “Wedale” or “Wedele”) were first descended from the Vikings, as presence of their name came alongside the invasions and diaspora of the Vikings, and was brought to greater prominence later, during the Norman conquests. 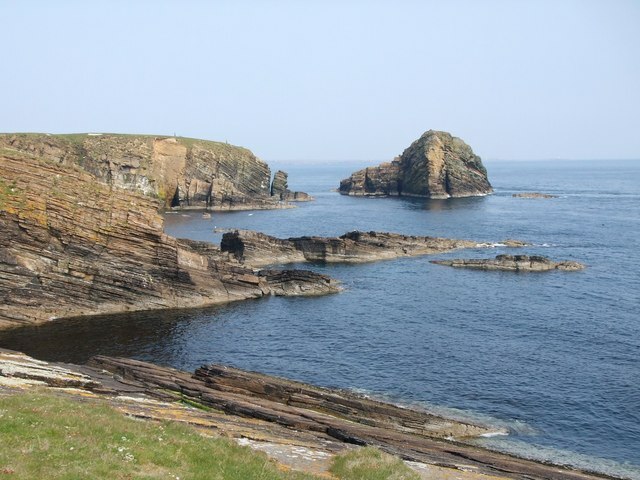 In her study of the Waddell name and origin, Lynn Gill2 posits that the Waddells first came to the Scottish isles around 870 under their king, Sirgud the Stout, making their way through the Orkney Islands off the coast of Northern Scotland. This, however, seems to be an overly romanticized notion that, while not impossible, may not tell the best story. While there may have been Viking blood in the Waddell, it was the Normans that most predominantly shaped the Waddell, by both blood and culture. As the Normans, by way of France and then England, began to hold a stronger presence in the region around the 9th and 10th centuries, stronger ties and personalities emerged from the midst. …asserted that the Templars gave no alms and shewed no hospitality save to the rich and powerful, and that through their greed and injustice in seizing by fair means or foul the possessions of their neighbours, they were generally defamed. Doubtless, Brother Adam was thinking of the sufferings of the widow of Esperston, and the fate of her son, who had been slain within a few miles of his own convent wall some nine years before, and in this part of the evidence we reach at last a grave and quite credible charge against the order. The friar’s action was one of the first, and spawned later outcries of those who spoke against the corruption of the Templar Knights. These accusations would soon lead to the full condemnation and abhorrence of the society across Scotland, and meant the ultimate fall to the Knights of Templar. Newbattle Abbey, view from the garden. 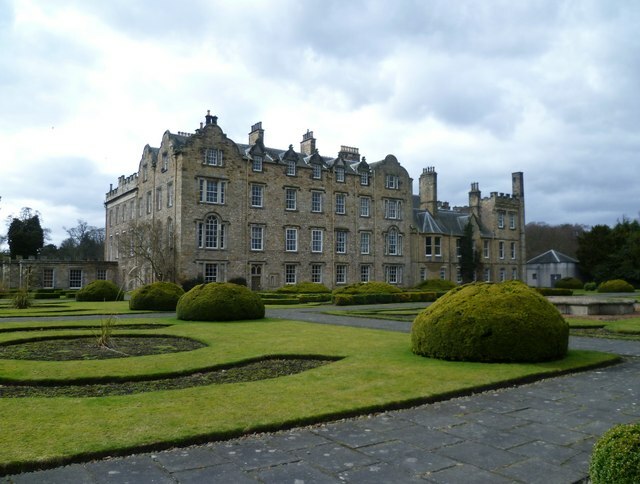 Today, the Abbey functions as a college, and was first bequeathed to the nation as such in the late 1930s by Phillip Keer, 11th Marquess of Lothian. The Wedales were not necessarily “liked;” they were, after all, founded through many conquests and movements of peoples; they also don’t seem to be very present in the earliest of years. However, it seems they slowly became accustomed to the land over time, and grew in prominence. Many of the early Wedales were “eminent churchmen” and, as Gavin Main Waddell lists in his short history4, many are known by the specific charters they signed. Thomas de Wedale was canon of St. Andrews, 1280, Laurence de Wedale rendered homage to Edward I of England and signed the “ragman’s-roll”, the roll in which the Scottish nobility and gentry subscribed allegiance to Edward I in 1296, Simon de Wedale, Abbot of Holyrood, Edinburgh and later Bishop of Galloway, 1296-1355, Roger de Wedale Canon of Dunblane, 1312-1321, Sir Thomas de Wedalle, Knight of Scotland, circa 1372, Henry de Wedale, ‘the Duke of Albany’s man’, 1401, James of Wedale, the King’s Macer, 1403, Sir Robert of Wedale, Master of Works at Linlithgow Palace later Abbot of Culross and famous schismatic, 1424-41, Agnes de Wedale, Prioress of Manuel, 1442, John Weddell, (called de Weddale Vedal, Weddell and Waddell at different points in his career) the Parson of Flisk, and one of the first Lords of Session, 1508-40 and as Lord Flisk was rector of St. Andrews University and one of the judges at the trial of Patrick Hamilton. Indeed, the Waddells began to form an identity among their peers and countrymen. While there is not a particular Waddell tartan, the Waddells did join with other families “in times of help” and out of “honor or respect” as well as to protect their holdings and cattle; in records they appear a “fierce clan of Norman origin” around the Midlothian and Fife areas of the Scottish lowlands. They are on record having allegiances with some of the larger clans: Clan Fraser, Clan MacDougall, and Clan MacDuff. I would like to take time to mention thanks in particular to Mr. Gavin Main Waddell, who was both helpful and generous in providing a copy of his manuscript, A History of the Waddells in Scotland. While Mr. Waddell’s familial line followed to England (and so he is a quite far-back cousin to our Waddell), his book was fascinating and informative, and to-date one of the more comprehensive surveys of the Waddell family history. 1 – Macleod, James Lewis, Dr., “The Presbyterian Tradition in the South,” Faith in Writing. 1978. 2 – Gill, Lynn.”Waddell History and emigrants Glasgow, Scotland to Lanark, Ontario”, thread post in ancestry.com, 9 Dec 2004. 3 – A transcript of “The Knights of Templar of Scotland” by Robert Aitken can be viewed here. © Copyright Robert Beharie and licensed for reuse under Creative Commons.